Thread: Think I'm getting close to having some eggs! It's hard to know for sure about what's going on with Carmella. I've had geckos look really gravid for a long time and finally drop the eggs. I think the biggest signs of concern would be if she were visibly straining in the lay box or acting very lethargic. If you're really worried you could always consider a vet visit. Depending upon a vet's expertise, experienced breeders like you are often our best resource! 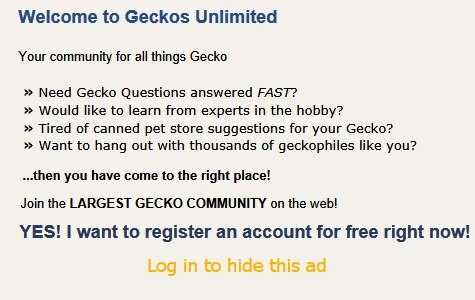 I actually read that or one very similar before as I was deciding on breeding geckos. Which is why I've tried to "go by the book" on breeding them. I assure she was a very healthy 62 grams when breeding started and her birthday is 9-15-17 so shes a year and a half old. We've contacted a few and found a local one that works with leo's I'm probably just being a worry wart.. Indeed! Aliza is def a valuable member of this forum! I enjoy reading her posts very much. Last edited by Geopard Lecko; 04-09-2019 at 01:35 AM. Most important consider a vet visit. Meanwhile, I would absolutely stop handling her. She looked stressed in the video during the belly rub. Once you’ve kept them for over 20 years, you learn their behavior. Some just freeze in place instead of running and you will see an increase in the neck pulsation. 1)One of the problems in captivity is lack of activity= Poor muscle tone necessary to push these eggs out. Can you find something that she can climb and place it in her enclosure. The more furniture, the more exercise she gets. This is one of the reason you may have heard me repeat more space, more space..... helps with constipation as well. 2)Substrate- deep?In a secure place? Some are more private than others. Use a container which is not see through. 3) Muscle contractions require proper temperatures in reptiles. Make sure she has a good temp gradient. I’m guessing you have this covered, but mentioning this for other readers. She hasn't been handled since she was paired except for when i give her check overs and we've been keeping the enclosure lights off and i drape a thin towel over the front just enough to darken it for her but still allow air passage. One thing i think you are over looking is her space is 24x24 which is the same floor space as a 30x18 enclosure just shaped different and is bigger then a 20 gal long that alot of people keep these guys in. Ill try adding some more things for her/them to play on or in. Oh and the Vet was called yesterday they told us to try the bath an belly rub.. Belly rubs... I’d probably look for another to be honest. Unless this vet is the only option of course. He/she didn’t tell you to bring her in for an exam? Regarding the size of enclosure it’s more about heat distribution. Heat will spill over and not allow temperature zones which is what you want to aim for. Ideally you want to create say 2 feet of temps in the high 70’s to 80’s (aside from the basking area)which allow the entire body to be warm and space for activity. The rest of the enclosure in the 70’s. You can make adjustments based on individual behavior. Unfortunately, if a thermostat is shared, this will not be possible and some will not do as great as others. Proper heating is not easy to create and often fails in small spaces. Because they are ground dwellers, horizontal space is the way to go. Has she at least continued to be active? The idea of the bath an belly rub is to hydrate her an stimulate her belly muscles ive actually seen/read that same thing from a few pages / videos. The vet said if that dont help in the next couple days (as of yesterday) to bring her in so im probably going to have to miss work tomorrow so this is really gonna cost me and im the only one in my house who can drive (wife has narcolepsy). Yep shes still active.. The gecko that is.. Wife is hit or miss lol. Last edited by Geopard Lecko; 04-09-2019 at 09:36 PM.